Although the number of female athletes is near an all time high, only 42.6% of female collegiate teams are coached by a female and only 1.5-3% of male collegiate teams are coached by a female (Acosta and Carpenter, 2010). Furthermore, the Women‘s Sports Foundation (2010) reported a lack of female coaches at the interscholastic level, but the exact percentage is unknown. This research project documented females in coaching positions at the interscholastic level. We used the Clell Wade National Coaches Directory to assist our research which included over 450,000 lines of data including name of the coach, gender of the athlete they coach, sport they coach, and U.S. state they are employed. Data was coded, imported, and analyzed in SPSS Version 12.0 and documented. From these findings, we established the percentage of females that occupy coaching positions in U.S. interscholastic sports, if female coaches experience tokenism (i.e., where they are less than 15% of all coaches) and marginalization (i.e., where they coach less desirable sports such as minor or Olympic sports), and what percentage of females occupy different coaching positions (i.e., head coach, assistant coach). Ultimately, we expect that this report will raise national awareness about the lack of females coaches, and result in policy development or changes related to females in coaching positions in U.S. sport. Milius, Inge E.. "Women Coaches in High School Sport: A National Study." 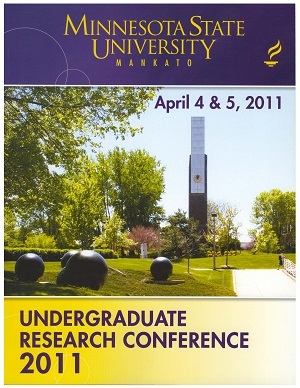 Undergraduate Research Symposium, Mankato, MN, April 5, 2011.